It’s been quite a few months since I picked up a Rum Nation product to write about. This is not to say that they have either lapsed in sleep or are resting on the laurels of past achievements, since just the other day they put out some promo materials for two new Guadeloupe rums I’m going to keep an eye out for. 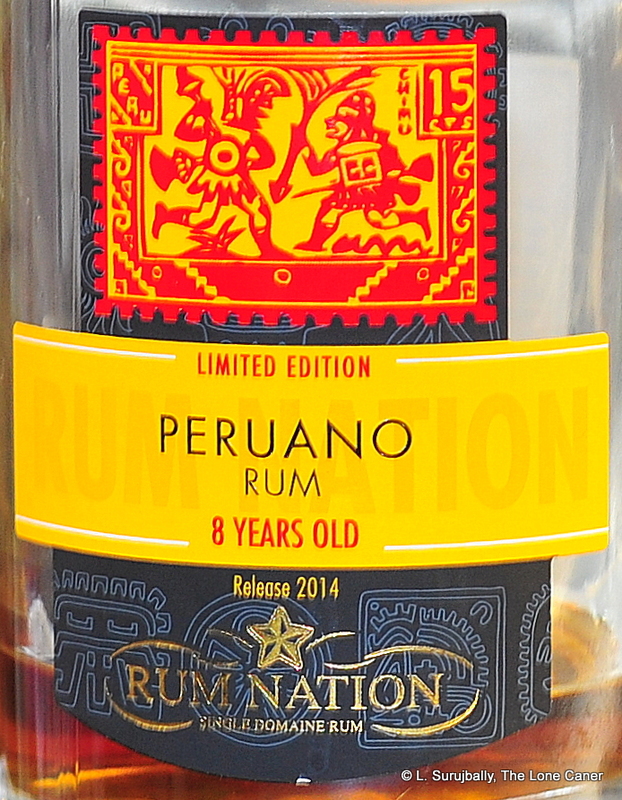 However, today I wanted to look at one of their other countries’ offerings, the Peruano 8 year old. Aficionados are no strangers to rums from that country: both the Millonario XO and Millonario 15 soleras hail from there, Bristol Spirits pushed out an 8 year old Peruvian I quite liked, and Cartavio continues to issue rums such as their own XO Solera — all of which adhere to the medium-to-light, easygoing and sweet profile that excites admiration and despite in equal measure depending on who’s talking. This one matches most closely with the Bristol Spirits version, and that was no slouch…it made me reconsider my decades long love affair with pungent Jamaican and Demerara rums (just kidding). 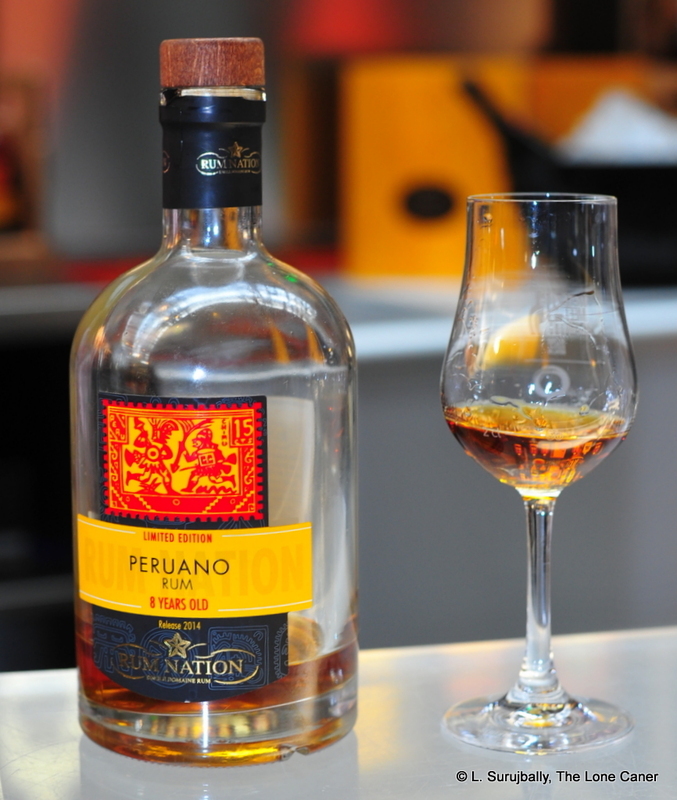 Anyway, the Peruano 8: an dark gold-copper coloured rum, clocking in at 42% ABV, and deriving from the Trujillo gents who also make the Cartavio XO. Fabio told me once that some years back he was seeking a very light, delicate rum to take on Zacapa, and thought he found it in Peru, in the Pomalca distillery which also produces the Cartavio on what looks like a muticolumn still. The initial rums he got from there formed the Millonario 15 and XO rums, and these were successful enough for him to issue a Peruvian in its own right, aged for eight years in bourbon casks. No more mucking about with soleras here. I certainly approved. Rums like this are easy going and don’t want to smack you over the head with the casual insouciance of a bouncer in a bar at the dodgy end of town, and sometimes it’s a good thing to take a breather from more feral and concussive full proof rums. This one provided all the nasal enjoyment of a warm chesterfield with a couple of broken springs: lightly pungent and aromatic, with a jaggedly crisp edge or two. Cherries, apricots, cloves, nutmeg, some vegetals, chocolate, a slice of pineapple, and sugar water and cucumbers. Kinda weird, but I liked it – the smells harmonized quite well. 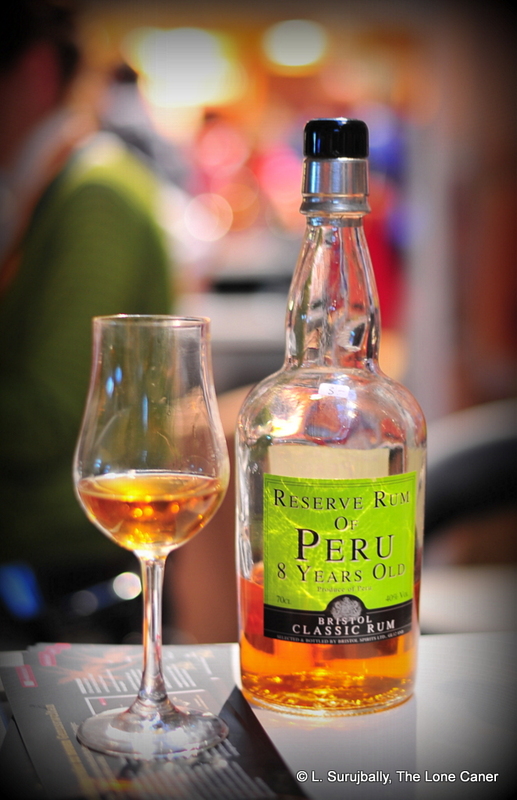 The palate was pleasant to experience, and brought back to memory all other Peruvians that came before. 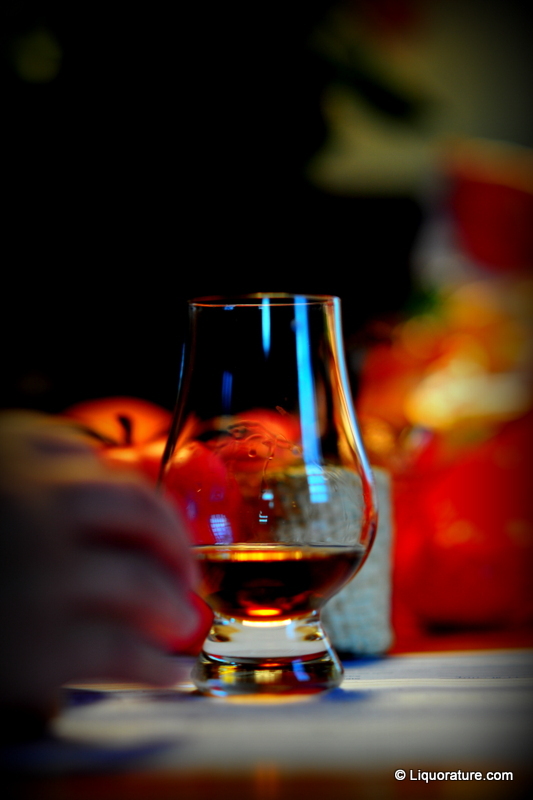 The light clarity — almost delicacy — was maintained and demonstrated that it is possible to sometimes identify different rums made from the same source…here it was almost self-evident. Tannins, vanillas, fruits, brown sugar (too much of this, I thought), some caramel, all melding into each other; peaches in unsweetened cream, some easy chocolate and pineapple flavours and a tart cherry and citrus blast or two allowing a discordancy to draw attention to the softness and lightness of the others. 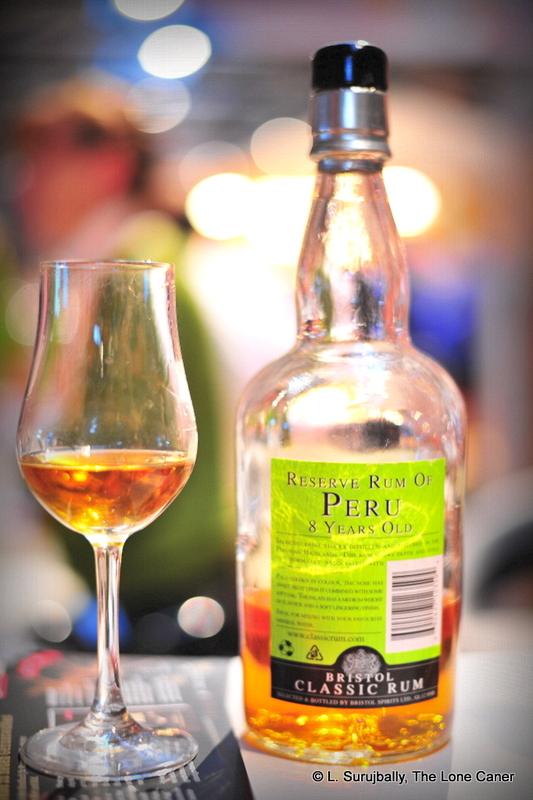 What so distinguished this rum and the others from Peru (including Bristol Spirits’ own Peruvian 8) is the way the various components balanced off so no single one of them really dominated…it was like they had all learned to live together and share the space in harmony. Finish was perfectly fine (if short): sweet, warm, and very much like a can of mixed fruits in syrup just after you open it and drain off the liquid. The downside of that approach is that it limits the use such a rum can be put to. Rums this light don’t always make good cocktails, are more for easy sipping (that’s my own personal opinion…you may disagree), and to some extent this drives away those guys who prefer the dark massiveness of a 60% full proof. Still, I’ve made the comment before, that I drink different rums depending on how I’m feeling, and for a pleasant sundowner on the beach when it’s time to relax and unwind (and I’m not unduly pissed off at the universe), this one ticks all the boxes and is a pleasant reminder that not all rums have to beat you over the glottis to get your attention. It could just be me, but I think there’s something else lurking in the background of this rum. It’s slightly deeper and smoother in profile, and definitely sweeter, than the Bristol Spirit’s rum which is the same age. Some subtle dosage, perhaps? No idea. If so, it really wasn’t needed…it actually detracts from the profile. Fabio considers this another one of his entry-level rums, and whenever he says that, I always laugh, since his products are usually a cut above the ordinary no matter what they are. A Millonario by another name, and as lovely. Soleras as a rule tend toward the smooth and sweet side, and have a rather full body redolent of all sorts of interesting fruity flavours. My maltster friends regard this type of drink the way they would a sherry bomb (or a disrobed virgin, if one desperate enough could be found), with a mixture of hidden liking and puritan disdain. Still, after having had two fairly dry products in as many weeks, perhaps it was time to relax in a perfumed boudoir instead of the sere desert air. And because the Ron Cartavio XO was from Peru and a solera, I tried it together with the Ron Millonario Solera 15 and the Millonario XO which also hail from there, to see how it stacked up. The Cartavio XO is pretty much the top of the line made by the company and is priced to match . It arrived in a black tin can and had a wooden tipped cork fixed into place by the twisted wire one might look for in a champagne…nice touch. Liked the bottle too…tapering, blocky, rounded shoulders, absolutely minimal design esthetic, and etched in gold (the tin can had most of the info, which was as it should be. Smelling this was an exercise in repressed romanticism. Luscious is not a word that would be out of place to describe it. Creamy, almost like a mild citrus ice-cream, quite smooth and gentle on the nose. Apricots, cherries, vanilla, with just enough background of oaken tannins to provide some character. These scents mellowed gently into flower blossoms – in spite of its depth, the nose had a certain soft, clean brightness to it, like the skin of a sleepy baby after being freshly washed and powdered. It was without a doubt better than the Solera 15, but interestingly enough, it lacked some of the complex pungency that so elevated the Millonario XO. The feel on the tongue was similarly rich and pleasant, though perhaps a shade more acerbic than the Millonario, but beyond that, quiet and heavy and quite aromatic. Here again is a rum that takes its time, being in no hustling rush to get the sipping experience over with. At 40%, there wasn’t going to be any aggro, no yobbish pummelling on the palate, and indeed, from that perspective, I wasn’t expecting any. The rum sang of vanilla and fruit (peaches and dried apricots), dark chocolate, sherry, nuts and a very faint vegetal note, all of which solidified into a rich and serene taste close to the fullness of honey (if not quite so thick). The one thing it is not quite good at is the exit. Medium long, hints of nuts, caramel, a sweet-salt tang, with a closing flirt of nutmeg. Faintly dry, but not unpleasantly so – the fragrant, almost humid rush of closing scents married well with that profile, yet try it against the Millonario and see if it doesn’t quite come up to that standard. Sure it’s solid and has a pleasant finish (some would sigh beatifically and say “awesome”), yet perhaps it is a shade too quiet and polished and does not demonstrate any kind of singular, individualistic character all its own, that said it was a walk-on-water rum – it reminded me more of a liqueur (a very good one, mind), and here I thought there were similarities to other well-made drinks of some age and real quality, like the St Nicholas Abbey 12 year old, or the El Dorado 25, which were so well put together (and, unfortunately, so sweet) that they lost that sense of individuality exemplified by their own younger siblings. An issue worth remarking on. Another point I’d like to make is this: the taste profile of the two XOs is extraordinarily similar. In fact, the two are so close together that I wondered whether Fabio Rossi of Rum Nation didn’t source his rum from Cartavio (for the record, he hedged when asked). It would take real effort to taste them side by side and know right off which was which. I’d say that the Millonario has the upper hand based on a slightly better nose, but in all other respects, these two excellent soleras are on par. 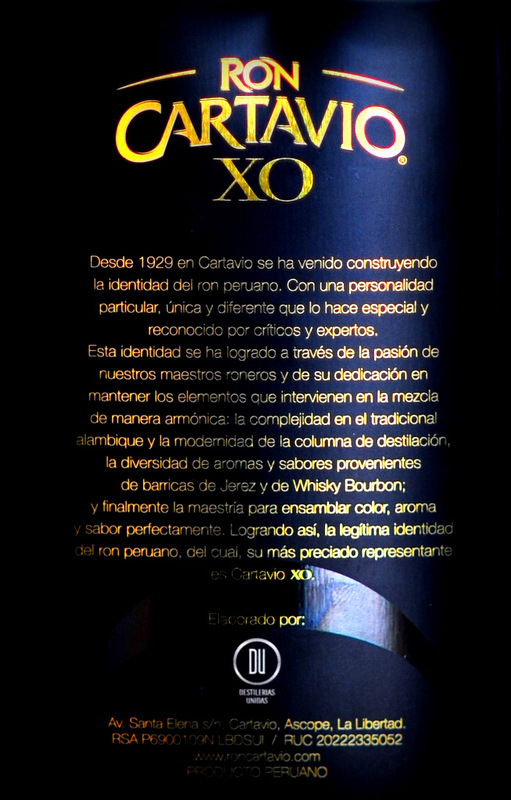 The Cartavio brand of rums was originally made in the coastal town of that name, just north of Lima: sugar cane grows in the area and has been since 1891, though the company was founded in 1929 – this XO is an 80th anniversary edition, quite limited in production. The parent company is Distilerias Unidas SAC, and they use molasses as the raw ingredient combined with a continuous fermentation process, utilizing a John Dore pot still and a continuous still. Let’s sum up, then. Soft, pungent, all-round lovely, and the taste and palate being the best thing about it. I imagine you can make a cocktail with this rum. What I can’t imagine is why. 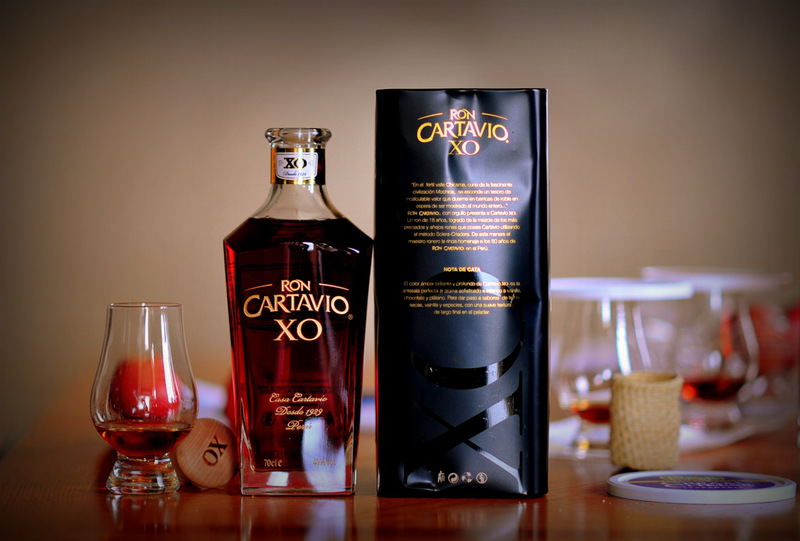 The Cartavio XO may be among the best examples of passive aggression ever seen in the rum world, because clearly the distillers don’t want you to mix it (and my own take – you shouldn’t).. By the time you hit to the bottom of this baby, you’ll still be scratching your brow, wondering what the hell that last tiny hint of savour actually was. It really is that good. In fine, this is a rum that is quiet, gentle, and flows without fuss or turmoil to a serene conclusion. It is a rural country stream, chuckling dreamily over rocks and burbling to its destination with no agenda – all it wants is to please, and it succeeds. It lacks the testosterone fury of a full- or overproof rum, and avoids the blandness of more commercial rums that sell by the tanker load: drinking this rum and revelling in its unaggressive and unassuming sophistication is something like loving another repressed person like yourself, dearly…and waiting for the kiss that never quite comes when you want it, but is going to happen, eventually, nevertheless — and be worth the wait when it does. On the tin enclosure and on the website, Cartavio note that the rum is an 18 year old made in the solera method, aged in white oak barrels (some from Slovenia, how cool is that?) but caution must be exercised in what the age statement really means: is it a blend of rums originating from a solera whose average age is eighteen (unlikely, since the math wouldn’t support that); is it a blend of rums averaging eighteen years which then went into a solera process; is it a solera rum that has been in the process for 18 years (my choice for most likely); or is it a solera blend of rums that was then aged for another eighteen years? I simply can’t get resolution on the matter: and it illustrates the issue with pinpointing the true age of a solera rum. For my money, the oldest part of this blend is eighteen, not the youngest. However, note that Josh Miller in early 2016, remarked in his review of the lineup that there is “no rum younger than 18 years in the blend.” And Matt Pietrek, in a piece on Cartavio, wrote in December 2015 that it was also a true 18 year old. According to wikipedia, Cartavio rums are now made in Aruba. I’m unclear whether “made” means “aged”, “bottled” or both. My bottle makes no such mention, by the way. Soft. This rum is so soft. It is breezes in the warm tropical twilight, the lap of waves at low tide on a deserted Caribbean island, the first unsure, hesitant and oh-so-sweetly remembered kiss of your timid adolescence. It is your mother’s kitchen on a rainy day, fresh bread baking in the oven. It is a 40% Peruvian piece of magic, and if it costs a shade over a hundred bucks, I can only say that I believe it to be worth every penny. 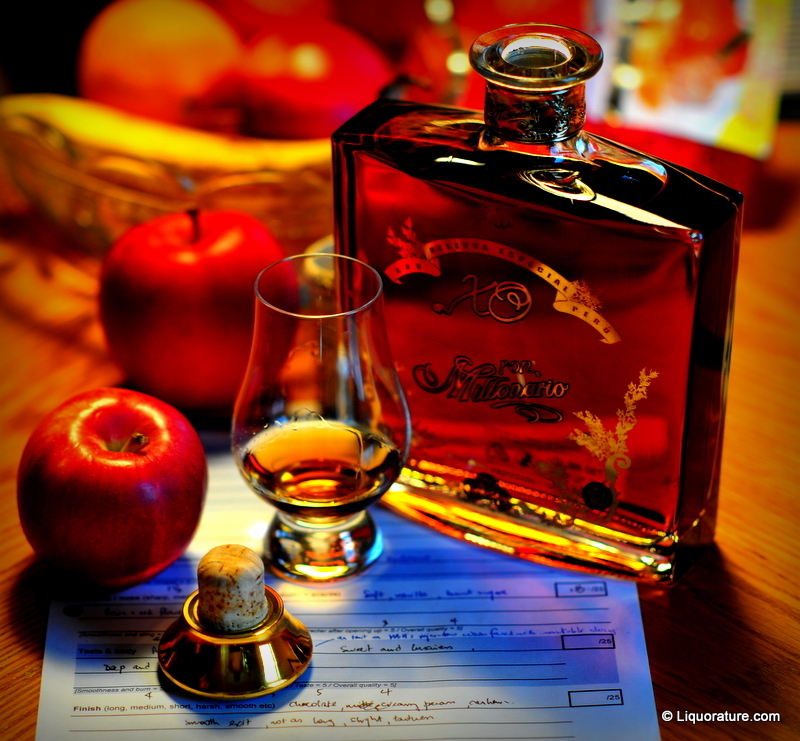 Want a slightly pricey introduction to sipping quality rum that seduces, not assaults? Here it stands. I asked the question of the Ron Millonario 15 Solera whether that was the best solera in current commercial production, and had to say no, largely on the strength of this one – not because the XO is better: it’s simply as good in a different way. Note that both rums are made in the solera system from a Scottish column still distillate; the 15 is made from a four barrel solera, but the added richness of the XO makes me suspect (like my Edmontonian friend does) that either this is a five barrel system, or they aged it longer somehow. Details remain sparse. The two are almost twins with obscurely opposing characters, and while the 15 is cheaper and therefore better value-to-quality overall, I must concede that on a complete aesthetic, the XO probably has it. Consider the appearance, which would probably make my departed Maritime friend the Bear weep with happiness: cheap black cardboard cutout that won’t add to the price, embracing a flattened squarish bottle that has handsomely gold etched lettering and a faux-golden tipped cork. It looks just classy enough to not be considered a cheap knockoff aspiring beyond its pedigree. I should remark right at the outset that the XO is a rum deserving to be savoured, not swilled, because while the nose began just swimmingly – honey, a slight minty zest, mango and papaya and flowers – it only got better as it opened up, adding a delicate green and vegetal background, and subtle aromas of coriander and brown sugar. I tried this in tandem with the Millonario 15 solera and that one was excellent also, but it was eclipsed by the sheer complexity of this baby. And the taste, nice. Again, gets more complex and interesting as time goes on: right off the bat I was enthused about its gentle, velvety smoothness (not altogether surprising for a 40% solera), and the arrival of white chocolate, buttery, creamy caramel. A shade heated without malice, spicy without bitchiness, which was a perfect offset for the sweet notes that coiled around it. That sounds straightforward enough but tek a chill and wait (as my brother back in Mudland would say). Just like with the nose, further flavours shyly emerge and when I tell you that I got a slight smokiness, old dusty leather, fresh fruit and white flowers all in tandem, you can understand why everyone I’ve ever shared this with sings its praises. I’ve already distributed a bottle or two in tasters over a mere few months (and that’s phenomenal given my hermitlike nature and how few friends I have who like rums). As for the exit, it is excellent, chocolate-like (of the milk kind), smooth, long and departing with a last mischievous fillip of those fruity notes. In fine, unlike the 15 which began well but simply stayed at that level of excellence, the XO started slowly, built up a head of steam and then gently and powerfully released its character over time. For sure this is not a mixing agent, and it rewards the patient – it gets better as it opens up. I’m not sure a higher proof would improve this marvellously made Peruvian product, and I’m not asking for it to be made so (though I might not object either). It’s great as is…don’t mess with it, except perhaps to dial down the sweet a shade. If you are a raw, uncompromising Caledonian or his Liquorature acolyte (did someone say “Hippie”?) who likes harsh briny seasalt in your beard and the wind in your face and peat in your cask-strength drink, then the softness and relative sweetness of this rum, harking as it does of sunlight and warmth instead of rocks and northern waves, is definitely not for you. The cask strength whiskies are savagely executed Goyas compared to Ron Millonario’s voluptuous females painted by Raphael and Titian, so it comes down to taste and character and preference. My own take is merely that the makers of Ron Millonario XO Especial, with this lovely rum, have pressed all the right buttons and made all the right incantations in producing a rum that raises the bar of rums in general, and soleras in particular. Yet again. Note: like most solera rums, this one is sweeter than the average and that may be off-putting to drinkers who prefer a drier, sharper and more ascetic “rum-like” profile. Personal preferences therefore have to be taken into consideration when deciding whether to buy it or not. In the years since this review came out — I tried it in 2012 — I’ve taken a lot of flak for my positive assessment of the two Millonarios. Fellow reviewers and members of the general public have excoriated the rum for being loaded – destroyed – with so much sugar as to make it a “candied mess.” I acknowledge their perspective and opinions, but cannot change the review as written, as it truly expressed my thoughts at that time. Moreover, the complexity I describe is there and cannot be wished away, and if the rum is too sweet for many purists, well, I’ve mentioned that. About the most I can do at such a remove — short of shelling out for another bottle and trying it — is to suggest that if sweet isn’t your thing, deduct a few points and taste before you buy. And a note for people now getting into rum: sweet is not a representative of all rums, least of all high end ones. The practice of adding sugar in any form to rums, to smoothen them out and dampen bite (some say it is to make a silk purse out of a sow’s ear), is a long-standing one, but gradually being decried by many who want and prefer a purer drinking experience (Plantation and Rum Nation are two companies which sometimes engage in the practice, which they term “dosing”). It remains legal in many rum producing nations. As with most aspects of life, sampling a variety will direct you to where your preferences lie. Like Bernadette from “The Big Bang Theory” – sweet, buxom, lovely…but with a slight edge as well. What a lovely, lovely rum. Is this the best solera rum currently in production? Now there’s a statement guaranteed to raise the blood-pressure of lovers of Opthimus, Cubaney, Dictador, Ron Zacapa, Vizcaya, Cartavio, Santa Teresa or others, and draw hordes of disapproving comments from people who will inevitably and disparagingly ask “Well, how many have you tried, dude?” Making a statement like that is akin to throwing a defenseless Christian virgin into the Roman lion pit, isn’t it? 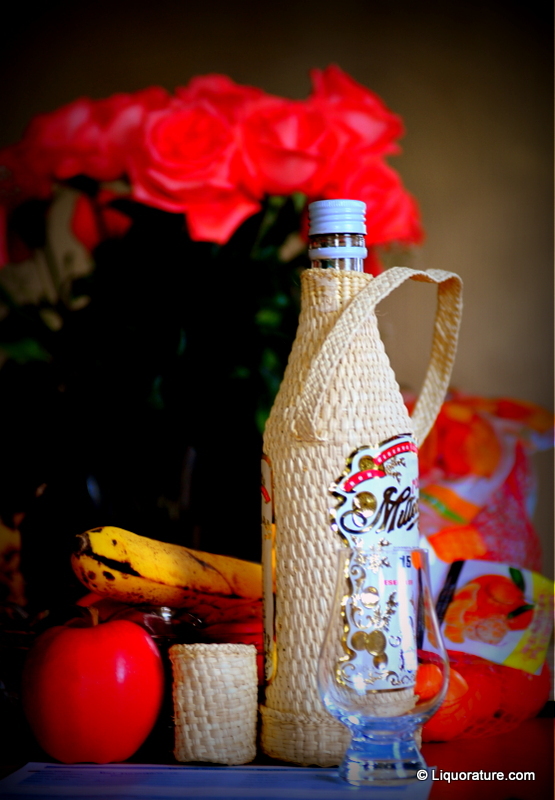 Soleras are a peculiar subset of rums. Dave Broom gives them scant mention in his book “Rum”, rather casually making them a part of the Spanish, Latin style of rums that are lighter and sweeter than more aggressive leather-and-tobacco Caribbean rums. Yet they are distinct in their own way and make as any rum deriving from cane juice, cane syrup, molasses or to which spices have been added…and they’re getting better all the time. Soleras are based on the Spanish sherry system, whereby every year a fraction of one barrel’s aged product is moved to another one down the line in strict sequence. The mathematics works out that after many years, assuming no further ageing of the final product, you’re getting a majority of seven to eight year old components, together with fractions of rums much older than that (the Santa Teresa Bicentenario claims there are rums as old as eighty years in its final product, which may be why it sells for over three hundred dollars up here). 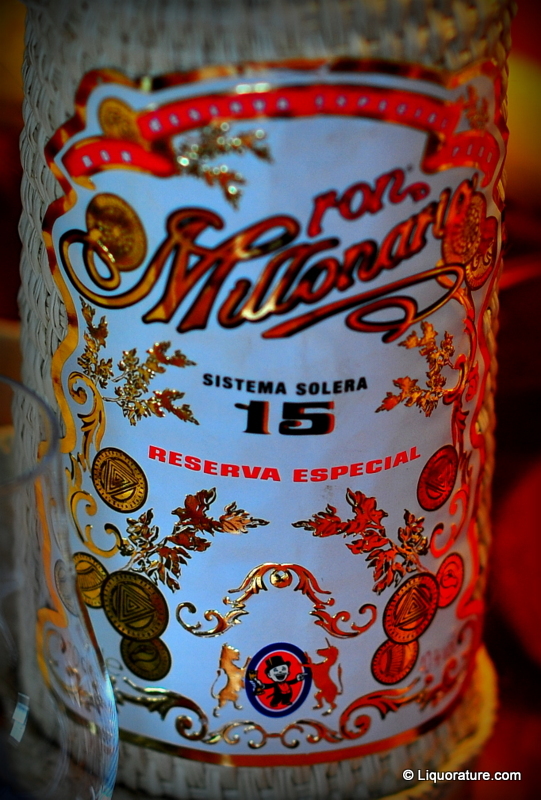 The Peruvian 40% rum of Ron Millonario 15 is, without verbose embellishment, luscious. No, really. Issued from Rum Nation’s excellent stable of products, its Toquilla-straw-wrapped appearance alone is worthy of notice – though why such a product should then degrade itself with a tinfoil cap escapes me. When I poured it out, it was amber, almost walnut in colour, and smells of vanilla, hibiscus and lush sugary fruits arose to hug me and say hello. My dog (and sometimes my wife) growls at me when I return after a two day trip somewhere, but this rum will always have my slippers in its mouth, a drink waiting, slobber me with kisses and be happy to see me. Ron Millonario is a company owned by the founder of Rum Nation: it was no coincidence that the first time I tried this was at the tasting where all the RN products were trotted out. The 15 is made from molasses in Peru and is the product of imported Scottish column stills, and the solera system is American and Slovenian oak barrels in four rows. Depending on how you read the website, they age the oldest part of the blend for fifteen years or the final blend for fifteen years, but truly, I don’t mind which it is, because the resulting taste is superb. Beautifully smooth. Thick, oily, creamy. A shade spicy, cherries, toffee, bananas, red flowers, all sweet and luscious, dissipating after a bit to be replaced with a tartness right up there with the sharp rejoinders of my friend and colleague Mary B.-H. when faced with inimitable idiocy…and this saved it from becoming just another liqueur, thank God (otherwise I might have been snorting “Pyrat’s! !” into my glass). The 15 deepened and became even warmer and more inviting as it opened up, and quite frankly, the fade is remarkable for something this cheap: long lasting, slightly dry, very smooth, saying a pleasant goodbye with aromas of chocolate and pecans. My father has often been quite vocal and disapproving of my hedging (he once asked me the same question seven times in order to get a definitive answer, which is either a statement about his persistence or my evasiveness). “Make a stand, dammit!” he would snap. “And live with it.” I thought of him as I wrote this: and so yeah, for all those who have been patiently read this far, let me say it out loud. The answer to the question at the top of this review is “No”. I must concede this definitive answer not because it’s a poor product, but because I know there are more out there I haven’t sampled, and the XO made by the same company is on par. But my take from my experience, is that it’s without question one of the best soleras I’ve ever tried, the best value for money product of its kind. It’s a worthwhile addition to the cabinet of anyone who is tired of the standard fare, prefers a sweetish, smooth, deceptively complex rum with a shade of attitude…and is getting bored with the more well-known Zacapas of this world. In the years since this review came out — I tried it in 2012 — I’ve taken a lot of flak for my positive assessment of the two Millonarios. 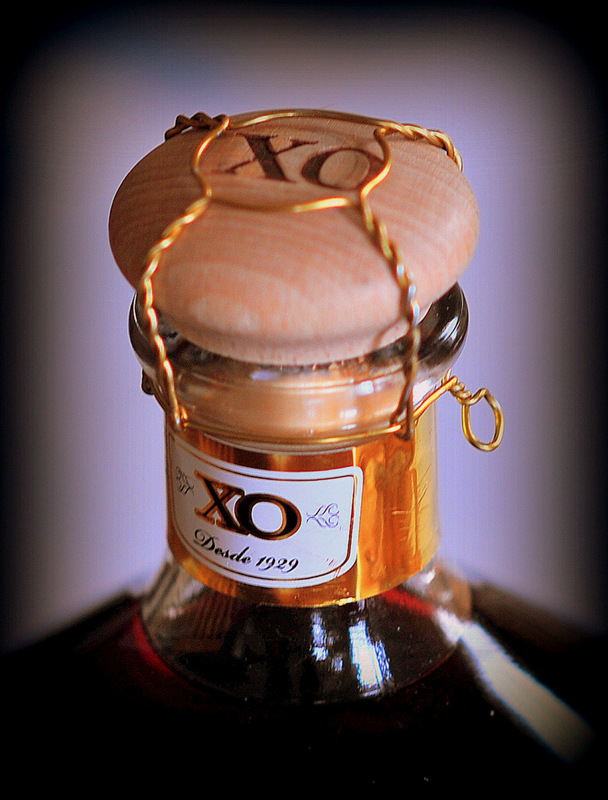 Fellow reviewers and members of the general public have excoriated this rum and the XO for being loaded – destroyed – with so much sugar as to make them a “candied mess.” I acknowledge their perspective and opinions, but cannot change the review as written, as it truly expressed my thoughts at that time. Moreover, the profile I describe is there and cannot be wished away, and if the rum is too sweet for many purists, well, I’ve mentioned that. About the most I can do at such a remove — short of shelling out for another bottle and trying it — is to suggest that if sweet isn’t your thing, deduct a few points and taste before you buy.